Maybe is Arizona is turning blue, maybe it isn’t. It is showing some purple edges, though. And that is as it should be. We here in The Old Pueblo lived with extremism a bit longer than the rest of country this time through the full 360 of the political cycle. MSNBC reported last night that the Arizona Senate Race for the seat being vacated by Jon Kyl, a lifetime politician, may not be a slam dunk for the career politician from the same party as Kyl, Jeff Flake. Flake is a nice enough guy personally. He came out and mingled with a group of political women visiting the Arizona Capitol when he was in the State Legislature. We had a respectful conversation. There also is a non-career politician, patriot, trauma surgeon, deputy sheriff, SWAT team member, and full women’s equality advocate who is also running for the seat, Richard Carmona. I’ve met the man several times and I like him. I respect his reasons for running. He is what a Senator was supposed to be in the original vision of America. Oh, and did I mention he was the former Surgeon General of the United States? Seems Carmona is within a percentage point of Flake. As individuals find out about him and his amazing record of service to his country, and the communities of which he is a part, they tend to feel that he is the best Senatorial Candidate. He is not a particularly partisan person, though he obviously had to declare a party affiliation to run for the Senate. He has actually been an Independent most of his life. 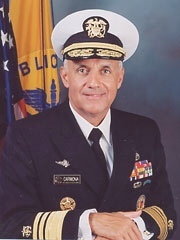 President G. W. Bush appointed him Surgeon General of the United States. I like the idea of a Senator having had extensive experience in careers other than law and politics. I also believe that having life experiences that provide as many perspectives on various social issues as possible is also a good trait for someone who wants to be one of the small number of national legislators in the U.S. I am thinking that I probably need to hit the streets and knock on doors to help get the word out about Carmona. As a Vietnam Vet who was highly decorated, he will take veterans issues seriously. As a SWAT team member, the person brought in to start the Trauma Unit at University Medical Center here in Tucson, the place that saved Gabrielle Giffords life, along with the many people who were seriously wounded along with her on that January day here in Tucson in 2011, he knows the full impact of violence of all sorts. As a man who grew up in challenging circumstances in NYC, who dropped out of school, went to Vietnam, and then found his calling as a healer in emergency and crisis situations, and went on to become a physician, he knows people at their most vulnerable times. When he speaks of his mother and her belief that if women were equally represented that the world would be a better and more peaceful place, well you know that he truly respects women. There are not many folks who are really worthy of such high office. Carmona is one of them. I hope that others from around the country who believe in a forward focused American agenda will help out Richard Carmona’s campaign however they can, so Carmona can counter the “Big Business” (remember that phrase from long ago?) money that is anonymously pouring in to the state from corporate coffers from all over the country, and perhaps globe. 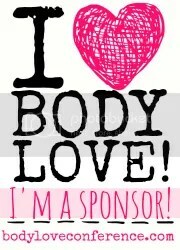 If you can, please donate to the campaign. Filed Under: Creekside Commentary, Election 2012 Tagged With: 2012, Arizona, AZ, blue, carmona, flake, kyl, Politics and Punditry, pro-veterans, pro-women, purple, Richard Carmona, senate, senate race, surgeon general, trauma surgeon, vietnam vet. I love the concepts of synergy, synchronicity, and the untraceable, invisible spheres of influence that are so very present with every breath in life, and that pervade every molecule in the physical world. So when things align, and I observe patterns of behavior and occurence, I pay attention. There is unfortunately a huge problem distinguishing the line between pattern recognition via intuition, and delusions of reference. Oh well, C’est la vie. I invite you to click and listen to The Police while you read on. Today is Fathers Day and my husband and my 23rd wedding anniversary. Synchronicity one. The next area is the unusual and sad coupling of the silent march from Harlem to the Mayor’s home in NYC to end Stop and Frisk with the death of Rodney King, on the West Coast. This tragic event brings up memories I have of the horrific, thuggish police brutality in the near death beating of a black man in L.A., and the lack of ANY convictions of policemen in the case that in turn sparked the L.A. riots of ’91 is a strange co-occurence. Groups who both have been repressed, ghettoized, and lynched, and still experiences these outrages today,are banding together in a joint march that would have been unthinkable even last year. In spirit, I believe Rodney King and Matthew Shepard are walking with them arm in arm. Political synchronicities seem to abound as of late. I realized at the event that I could feel the energy gathering to be released through a groundswell of Americans, of all sorts, banding together to restore opportunity for all Americans. The core principle of the American Dream was so real it was visceral. We are re-birthing the Dream sisters and brothers. Rich Carmona, is the GOP’s worst nightmare: a true American Hero, holder of National level appointed post for a recent Republican President, decorated veteran (2 bronze stars), physician, deputy sheriff, SWAT Team leader who supports vets, women’s rights to access to complete autonomous access to healthcare, believes that what his mother told him about how women have never started a war and the real need for equitable reflection of percentages of women in the population to be seen in the government, and in the absolute need for access to education for all so as to allow pursuit of the American Dream. Carmona is such a strong candidate, a Democratic candidate, from Arizona, the proving ground for Republican general weaponry, as well as corporatist Weapons of Mass Cultural Destruction, that it almost makes me giddy. He is part of what looks to be the coalescing of several independent responses and reactions to Republican overreach and repression of rights. This synchronous coming together may well form the perfect storm of bipartisan groundswell to counter the systematic, anti-American, corporate-led dismantling of the American Dream. This overlaps, for those of us in Tucson, with Ron Barber’s win to serve out the remainder of Gabrielle Giffords term in the U.S. House of Representatives. What may be even more important is that the extremist Right-wing candidate, Jesse Kelly, who has had full Republican backing in the last two House races for AZ District 8, announced he would not run again. In his concession speech on Tuesday night he said he would announce his intention to run again, or not, within a couple of days. I personally believe he wanted to run again, but that he had to check with the big money, national boys to see if they would pump the huge sums of money Kelly needed in order to even come close, and yet still lose, to his Democratic opponent in recent elections. I think the big money boys said, “No.” Southeast Arizona should have campaigns that are fairly low key, and, of interest primarily to residents within the district. The Southeastern-most corner of Arizona, has always seemed to draw more national and big money attention from the RNC and the DNC than would be expected. This was true when the Rep was Jim Kolbe, when the Rep was Gabby Giffords, and now when the Rep is Ron Barber. I will have to write another piece to dig into the dirty dish that is that story. Arizona has been pivotal as a symbol, a symbol that has been carefully constructed by the neo-con, tea-bagging, prison-and-guns-as-a-growth-industry, corporate backers. Our state has taken on iconic proportions. The people who have made Arizona the laughing stock of the nation are falling victim to one of the common pitfalls about which political strategists warn their clients; that is believing your own propaganda. Our southern border, that happens to be a state and national border, has been “guarded” by Nazi-connected, child and family slayers. Much of the national press coverage depicted them as proud American patriots. Bull pucky. Our citizenry fell victim to cold blooded murder in an attempted assassination of a U.S. Member of Congress by a mentaToolslly off balance young man who read Mein Kampf and probably was influenced by the antipathy of outrage, lies, and vitriol that formed the center of an ideological war being waged in our backyards just like Sheriff Dupnik said. Sheriff Dupnik, synchronistically, has been Rich Carmona’s boss in his role as a deputy for over two decades. Arizona isn’t what has been depicted in the media for so long. Our supposed State Leaders, who gather in Phoenix reflect political manipulation of legislative district lines, huge influxes of national and international corporate money in podunk elections, actual election rigging, far more than they do the Arizona people. The un-balance of power in our State House that lists toward ultra right wing king pins, uber-Christian zealots, and Mormons whose families were too conservative to live in Utah make up a disproportionate block there. This in no way reflects Arizona’s amazing diversity and eclectic richness. The oligarchy has ruled here for quite some time. It allowed extremist Russell Pearce to preside over the Arizona Senate until he was recalled through bi-partisan efforts to oust the “Man behind Jan” and good friend of known neo-Nazi J. T. Ready. Ready was Republican candidate for Pinal County Sheriff and Minute Man Militia Member and also falls into the category of mass murderer who killed his family, including a toddler, before killing himself earlier this year. I attended a debate between all the parties running for Congress in 2010 on the University of Arizona Campus. The person with whom I attended was holding a Giffords sign outside the venue after the event. Neo-nazi thugs who had been evident inside the venue as Jesse Kelly supporters came up to us with their German-esque lettering, Nazi slogan-infested black t-shirts and other skinhead regalia, and attempted to push over and intimidate my friend. When our ground was firmly stood, they spat on my friend’s shoes. I have spoken out, for years about these disturbing connections between out of control, intimidation wielding, murder threatening thugs, and rogue cops within Tucson Police Department. This was even before the local and state level Republican Party has allowed the likes of Kelly and Ready to represent them. I still firmly believe the Tea Party funded by the Koch Bros tested their on the ground “astro turf” tactics right here in Tucson all the way down to the border. I am not the only person to notice these connections that seem to link neo-Nazis with government “leaders” in Arizona. Tucson housed retired mafioso, but Phoenix was where the dirty work was done. Just like Vegas, the glitz and bling of false, neo-con idolatry was probably planned near Tucson. The equal and opposite reaction that cultural systems theorists would predict in reaction to the massive swing toward fascism this country took over the last several decades may well be building as I write. Being inside the systems in which these sorts of homeostatic properties operate, we cannot see or understand what is really happening. But just like in math and physics, we can observe patterns, that may or may not signify anything. Carmona and Franken, seen here together on stage in Tucson on 6/16/2012becoming “new best friends” must mean something! I’m very hopeful right now. I attended a political event tonight for Rich Carmona who is running for U.S. Senator from Arizona. Senator from Minnesota, Al Franken, was stumping AZ with and for Carmona today. It was fun to meet Al, and to hear what he said about Rich, but the whole gathering made me have hope for Arizona, and the U.S.; Al was psyched about Carmona, the place was packed, much bigger turn out than expected, and people seem truly energized and inspired by this amazing guy. Other than the “theme” song that blasted from speakers before folks took to the stage, and that I am still not so sure is the right one for the campaign, it was a good party. The song? My Sharona by The Knack. The syllabic fit of “Rich Carmona” and “For Arizona” does match “My Sharona” rather nicely, but really now… The Knack? And that song? If you don’t know about him, prepare to be amazed by his bio. I’ve condensed and rewritten his story below. But you really ought to read the original, real, full bio on the Carmona for Arizona site. Rich dropped out of high school, enlisted in the Army and went to Vietnam. In the service he completed his high school equivalency degree so he could become a combat medic and apply to Special Forces. Two Bronze Stars, two Purple Hearts, a combat medical badge and many other decorations mark his service. After Vietnam, Rich became the first member of his family to earn a college degree, an Associate of Arts from Bronx College. attended Bronx Community College. He worked as a nurse which getting his B.S. from the University of California, San Francisco. Two years after that Rich completed his medical degree and received the gold-headed cane award as the school’s top graduate. A general and vascular surgeon, he also completed an NIH-sponsored fellowship in trauma, burns, and critical care. A Fellow of the American College of Surgeons, Dr. Carmona was recruited jointly by the Tucson Medical Center and the University of Arizona to start and direct Southern Arizona’s first regional trauma care system. Eventually he became chairman of the State of Arizona Southern Regional Emergency Medical System, a professor of surgery, public health and family and community medicine at the University of Arizona, and the Pima County Sheriff’s Department surgeon. Deeply committed to public service, Carmona has also served for over 25 years Pima County Sheriff’s Department in which he has served for more than 25 years as a deputy sheriff, detective, department surgeon and SWAT Team Leader for the Pima County Sheriff’s Department. He was part of a rescue team in the early 1990s that inspiring a made-for-TV movie about rescuing a paramedic in the wilderness in a snow storm by rappelling from a helicopter that then crashed. Carmona has received the National Top Cop Award and was also named the National SWAT Officer of the Year. He returned to Tucson and Pima County where he again served as a deputy sheriff, he became the first Distinguished Professor of Public Health at the University of Arizona’s College of Public Health. You could not make up a fictional character with this life story as no one would believe it. Carmona is the kind of man who should be in the Senate. Carmona is the type of man our Founding Fathers (and Mothers, remember the ladies…) probably envisioned to serve as Senator; war hero, respected professional in his field, and a sense of duty to his community and state who can serve as an elder statesman. He will put the likes of Dr. Tom Coburn, Dr. Rand Paul, and Dr. John Barrasso, to shame as Senator/physician colleagues. I think it could happen. 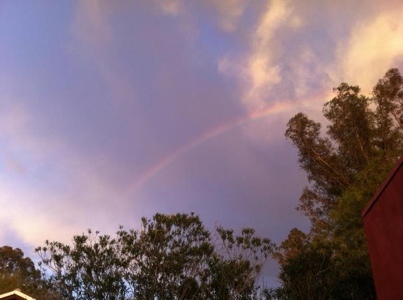 There was a symbol of promise and hope in the sky as Carmona spoke tonight. Arizona wasn’t always a Red State. Remember Deconcini? Well actually do not think too long about that one. But do remember the blueness of the the likes of Mo Udall, though that was House and not Senate. Any way, it has happened before and all that really needs to happen again is to get the info about Rich out there and let his life story speak for itself. I think he will appeal to many folks from Arizona all across party lines because in our hearts we all love America and want it to return to being a place where ours differences are our strength rather than grounds for disrespect, dishonesty, and destruction. 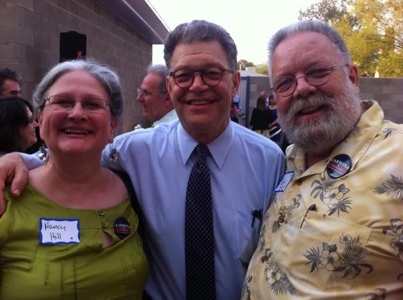 I was impressed that Al Franken seemed to be truly humbled to be campaigning for the man. Sure, Rich Carmona is a Democrat now, but he has served under a Republican President, and declared himself an Independent most of his life. He is an American who feels called to meet the needs of the people of Arizona for a Senator who really will work for the people, the citizens, and in the interests of the state and not just the corporate and industry interests that may or may not reside in Arizona and may or may not be good for the people of the state. He seemed to have impressed the hell out of Franken. As a Tucsonan, he knows there is much more to Arizona than the caricatures of idiocy put in place by a handful of überlord land owners and corporate/ranch family dynasties through gerrymandering, election rigging, hackable voting machines, voter suppression, and other nefarious, but now commonplace, neo-con and tea bag practices.